Spring has Sprung! 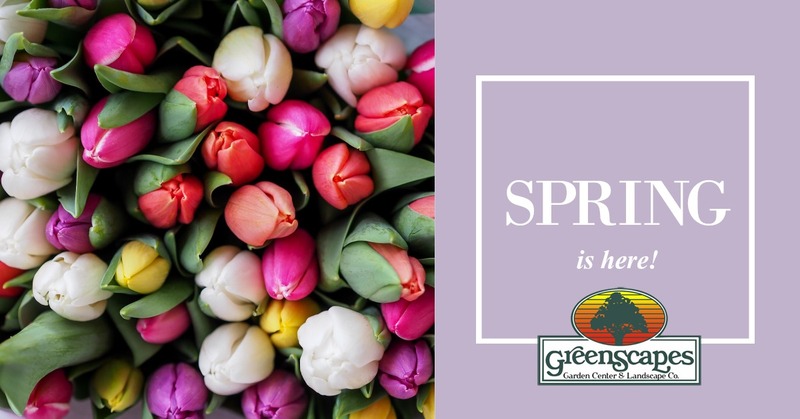 - GreenScapes Garden Center & Landscape Co.
"It’s spring fever. That is what the name of it is. And when you’ve got it, you want — oh, you don’t quite know what it is you do want, but it just fairly makes your heart ache, you want it so!" The time of year that every Central New Yorker yearns for... SPRING! Any remaining snow will melt away, the grass will turn from brown to green, the birds will chirp and the sun will shine; Spring has sprung and we're ready to see you! bulk material deliveries fill up quickly - schedule yours today! do you want to attract birds or butterflies to your garden? consider adding specific plants to your yard. Give us a call or stop in - Spring has sprung, we're so excited, we wet our plants!